Stephanie Eldredge went missing from her apartment on Aug. 20, 2007, and more than a decade later, police filed charges against a man for her murder. 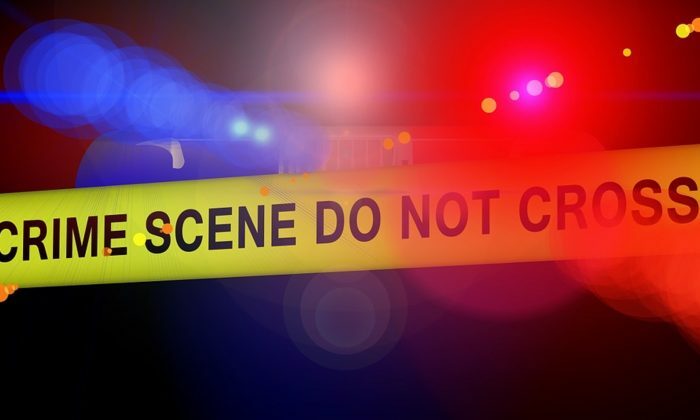 Kenneth Ryan Jones, 30, was charged with second-degree murder, the Idaho Falls Police Department announced on March 22. Eldredge, a mother of three, was 21 at the time of her disappearance, and her remains were not found until three years later, badly decomposed and buried in a shallow grave in the foothills near Idaho Falls on April 23, 2010, reported the Post Register. “Her remains were so depleted that they couldn’t gather enough forensic evidence to actually determine even the cause of death, much less the identity of the people responsible,” Dale Burns, Eldredge’s grandfather told EastIdahoNews.com in a 2016 interview. At the time of her death, Eldredge was recovering from drug addiction, and after two and a half years of sobriety, she was working to reunite with two of her children, who were removed from her custody. Eldredge was also planning to attend Eastern Idaho Technical College when she disappeared. Left behind in her apartment at Holbrook Drive in Idaho Falls were her baby, her cellphone, car keys, purse, and shoes. After her disappearance, investigators suspected foul play, but no arrests were made. In 2016, Crystal Douglas, the founder of East Idaho Cold Cases, a group that aims to raise awareness for Idaho victims, decided to use a deck of cards to help find Eldredge’s killer. “This is the second case in less than five weeks resulting in an arrest involving a cold case from Idaho. Both victims were featured in the first-edition cold case playing cards which have been in circulation at Idaho Department of Correction facilities since January of 2016,” Douglas told EastIdahoNews.com. Douglas had distributed a deck of cards to Idaho’s inmates. The six of diamonds featured Eldredge’s picture and a short description of the case. On Friday the IFPD called for a press conference to announce the arrest of Kenneth Ryan Jones in the case. Jones has a criminal history and is currently in prison in Boise on a probation violation related to a 2011 arson case in Bonneville County. Police declined to talk about the evidence that led to Jones arrest in the case. The investigation will continue, however authorities do not believe anyone else was involved in the murder.